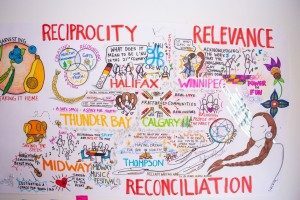 4Rs | What is reconciliation NOT to me? 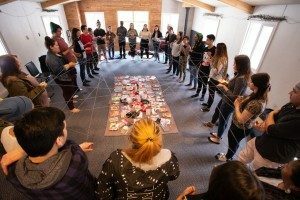 A few months ago, I asked young leaders across the country the question “What is reconciliation NOT to you?” I asked this in the hopes of attracting a crowd of young people who not only were looking to do work within / with Indigenous communities, but also to bring together those who were critical on the current unhealthy narratives surrounding reconciliation. 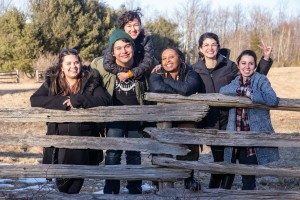 As an Indigenous young person who tries to work in the world of community organizing, I became fed up and sick of what reconciliation meant to me. To me it meant ignoring massive MMIWG issues while “building a bridge” in the name of reconciliation. It meant disregarding safe spaces for Indigenous young people in the name of “engaging” the highest amount of us as possible. It also meant Indigenous leaders continuing to force their own concepts of reconciliation, while Indigenous young people just needed a space to mourn yet another injustice for one of our peers. It meant something to be used to ignore the current harms to Indigenous communities. I knew that the current societal concepts of reconciliation looked like, but I was lost on what it didn’t look like. 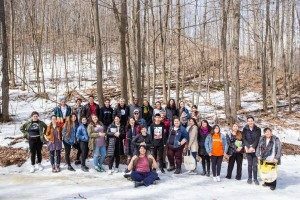 This past week those young leaders I posed that question to, came together as our 2019 National Learning Community. We (4Rs Youth Movement) brought them together in the hopes of giving them a loving, caring and free space for their own needs, and the needs of their community. While an intention for that gathering was for 4Rs to give space for these leaders to define their needs, I felt as if the reverse happened. 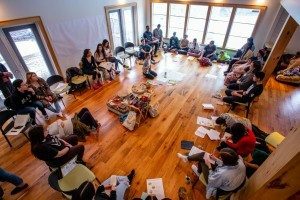 Through witnessing their visions of celebration, re-gathering on the land, directing true allyship, asking what it means to take care of our mother earth, braiding together the gifts within community and creating platforms for northern youth to build – I found the answer to my own question. Reconciliation to me was NOT what I thought. It is not something prescribed, it is not something I need to keep focusing on and it is not something I should use, to try to understand the value of community work. That concept, idea, movement, whatever it is, doesn’t limit the beauty of community. While I recognize and appreciate the amazing groundwork survivors and their families have put in for us, I also recognize that the word alone can’t capture any of community work we have now, and will see in the future. Instead of looking for what reconciliation IS or IS NOT to me, I will just look and appreciate the good work for what it is. Ron Gamblin is an Anishinaabe (Ojibway), Maskékowak (Swampy Cree) community organizer, currently living in Winnipeg. He is supporting 4Rs this year as our National Learning Community (NLC) Coordinator.